You guys. I’m so salty over the new Toyota Supra reveal. We didn’t get the real thing, so we didn’t get any specs. We only got a race car, and a concept one at that. WHATEVER. IT’S FINE. At least I have this Toyota promotional video to cheer me up, where you can see the car without the stickers on it. So, obviously, this is a Toyota promotional video, which means that Toyota was behind the whole thing. That includes the look of the car, the way it moves, everything. But it does definitely have the mechanized purr of a straight six engine and the gearshifts sound fast and snappy enough like they’re coming from a dual-clutch gearbox. Hm! 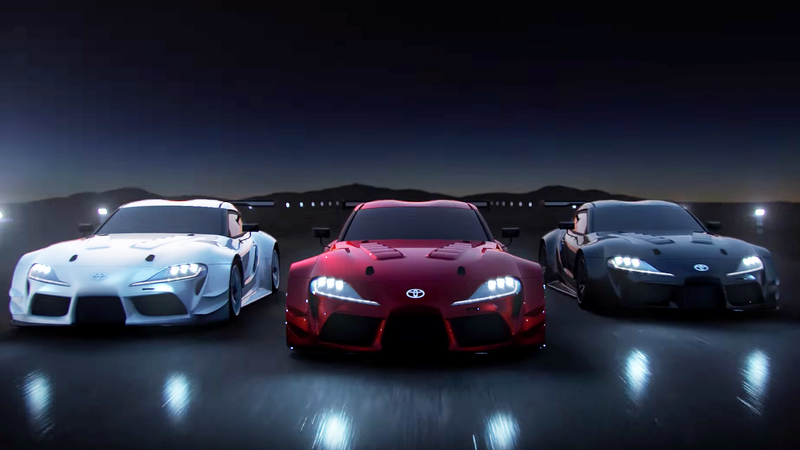 The video is fun and looks like an ad for an awesome video game starring the Supra only. I’m going to play it over and over again every night before I go to sleep until the actual Supra comes out. I advise you to do the same. It will help with the night terrors.